Cannes competition: The Cannes Film Festival is famous for its Palme d'Or award, but that's not the prize some of its highest profile titles are competing for. For a handful of pictures, the prize they really hope to land by generating global media attention at Cannes is an Oscar. Cannes, whose 68th annual edition runs from May 13-24, has in recent years become the first stop on the road to the Academy Awards. While there aren't any guarantees that publicity at Cannes will translate into Oscar nominations, Hollywood's Oscar marketers know they can springboard off success in Cannes to at least become part of the early Oscar contendersconversation. While it's great to be a Cannes winner – this year's jury presidents are Oscar winning filmmakers Joel and Ethan Coen -- you don't actually have to win anything to get into the Oscar dialogue. Just playing out-of-competition at Cannes is enough to get into the global media spotlight the festival has long been known for. One of the best examples of this was in 2013 when Bruce Dern won the best actor award at Cannes for "Nebraska." Dern and the marketing team at Paramount made the most of his Cannes victory and he ended up being Oscar-nominated. Although Matthew McConaughey won for "Dallas Buyers Club,"Hollywood handicappers regarded Dern as a strong dark horse in the race. Another good example of how Cannes can help propel a film to Academy members' attention is Woody Allen's "Midnight in Paris," the festival's opening night selection in 2011. After being applauded by the Cannes crowd, "Paris" received critical acclaim that drove it to $58.6 million domestically, making it Allen's biggest boxoffice hit ever. It also picked up four Oscar nominations – including, best picture, directing, art direction and original screenplay, which Allen won but didn't show up to accept. 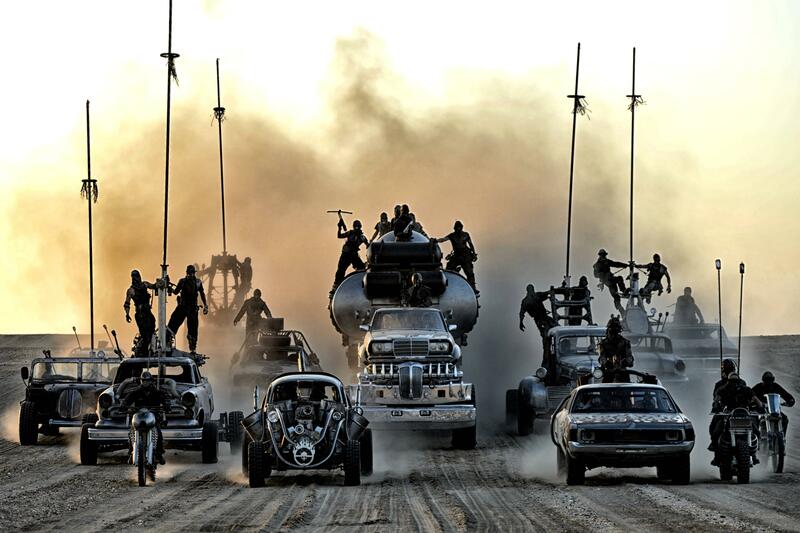 This year's out-of-competition hopefuls, who all stand to benefit from their exposure in Cannes,include: Disney and Pixar Animation Studios' 3D animated family comedy "Inside Out,"directed by Pete Docter ("Up"); Warner Bros. and Village Roadshow's 3D action franchise reboot "Mad Max: Fury Road,"from George Miller, director of the first two "Mad Max" episodes and "Mad Max Beyond Thunderdome." Man,"directed byfour-time Oscar winner Woody Allen, whose many credits include "Annie Hall"and "Midnight in Paris;" and On Entertainment and Paramount Vantage's English-language French computer-animated fantasy"The Little Prince,"from Mark Osborne, director of "Kung Fu Panda." Here's a quick look at these out-of-competition titles and some thoughts about how being seen at Cannes could play a part in their future. 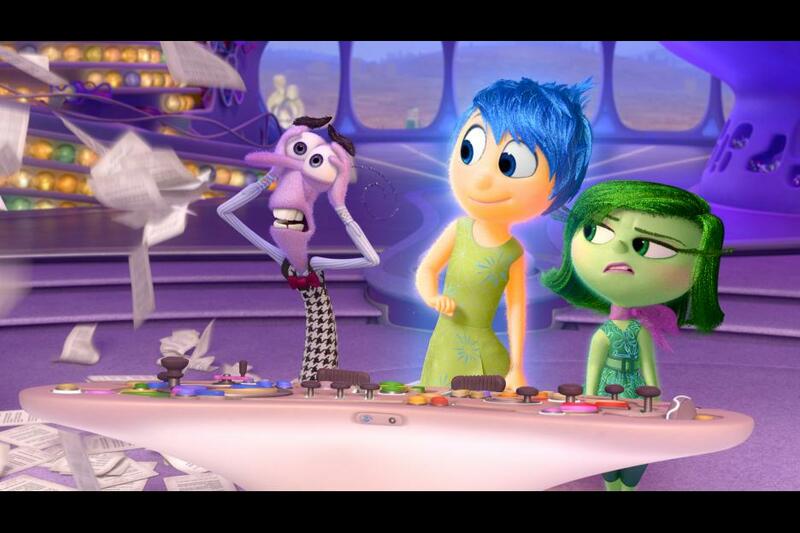 Like any new Pixar title, "Inside Out" has a great shot at winding up in Oscar's best animated feature race. Thanks to all the publicity that goes with being a Cannes selection, it's likely to achieve higher unaided awareness scores in tracking surveys. In other words, when a shopping mall interviewer stops people to ask if they can name any upcoming films, "Inside" has a better chance of being mentioned having just been the focus of red carpet coverage at Cannes. Since awareness is essential to selling movie tickets, anything that helps boost awareness is valuable. "Inside," which stars the voices of Amy Poehler, Bill Hader, Lewis Black, Mindy Kaling, Phyllis Smith, Diane Lane, Kyle MacLachlan and Kaitlyn Dias, plays May 18 at Cannes and opens via Disney June 19. As its launch date approaches, of course, Disney's marketing campaign will heat up and is expected to turn it into one of the summer's biggest hits. In "Inside," 11-year old Riley's life hits a bump when her father starts a new job in San Francisco, uprooting her from the Midwest. The emotions guiding Riley -- Joy, Fear, Anger, Disgust and Sadness – all live in Headquarters, inside Riley's mind. Now, as they all struggle to adjust, there's turmoil in Headquarters. In terms of achieving Academy interest, it helps that Docter is a past Oscar winner for directing "Up." He made his directorial debut with Disney and Pixar's "Monsters, Inc.," which was nominated in 2002 for best animated feature. Along with John Lasseter and Andrew Stanton, Docter developed the story and characters for "Toy Story," Pixar‘s first full-length feature film, for which he also served as supervising animator. Doctor also was Oscar nominated in the best original screenplay category for his original story credit (shared with Stanton) on Disney and Pixar's "WALL-E," which won the best animated feature Oscar in 2009. "We are overjoyed at being included in this year's official selection at Cannes," Docter said in April when the news was announced. "With 'Inside Out,' we spent years imagining – and then building – never-before-seen settings and characters within the mind. It was an incredible, fun and exciting challenge and now we can't wait to share it with the world." The action thriller "Mad Max: Fury Road" stars Tom Hardy(in the title role that originally made Mel Gibson an international star), Charlize Theron and Nicholas Hoult. With "Fury" opening in the U.S. and Canada May 15via Warner Bros. at about 3,550 theatres, it's perfectly positioned to benefit at the boxoffice from the media coverage its high profile May 14 Cannes premiere will have just generated. It's tracking best and in double digits with men over 25 and next best with under-25 men. Miller is an Oscar winner for directing "Happy Feet," which won best animated feature in 2007. Unfortunately, commercial action adventures like "Fury" tend to be overlooked by Academy members when they nominate best pictures, but exposure at Cannes could give this one enough cachet to get Academy consideration in other key categories. Of course, one of the reasons the Academy expanded its best picture category nominations from five to as many as 10 a few years ago was to be able to have room to nominate a few broad appeal mainstream action films like "Fury." So -- who knows? -- maybe this is the year one such film will make it into the race. "Fury" is an apocalyptic story in which humanity is broken and fighting for life. The only chance of restoring order lies with two rebels on the run – Max (Hardy), who's lost his wife and child, and Furiosa (Theron), who's trying to cross the desert to her childhood home. other hand, is exactly the kind of film that Academy members tend to pay serious attention to. Not only is Allen a filmmaker whose past work has resonated well with Oscar voters, but there already is a buzz circulating that "Man" is his best work since "Midnight in Paris. "If that view prevails, "Man" could wind up in prime Oscar races like best picture, actress, directing and original screenplay. It makes sensethat just as "Midnight" springboarded off its Cannes triumph to become a critical and boxoffice hit with three Oscar noms (winning for original screenplay), "Man" will hope to see Cannes lightening strike again when it opens domestically July 25 via Sony Pictures Classics. It plays May 15 at Cannes. "Man" stars Emma Stone, Joaquin Phoenix and Parker Posey. Stone was a supporting actress nominee in 2015 for "Birdman. "This is her second film working with Allen, who directed her in 2014's "Magic in the Moonlight," one of his less well received pictures.Stone could have a shot now at a lead actress nod for "Man" if her performance resonates at Cannes and,subsequently, with critics and moviegoers. In general, Allen's actresses have done very well on the Oscar front over the years. Cate Blanchett won best actress for "Blue Jasmine" in 2014, for which Sally Hawkins also received a supporting actress nod. Penelope Cruz won supporting actress for "Vicky Cristina Barcelona" in 2009. Samantha Morton was a supporting actress nominee for "Sweet and Lowdown" in 2000. Mira Sorvino won supporting actress for "Mighty Aphrodite" in 1996. Dianne Wiest won supporting actress for "Bullets Over Broadway" in 1995, for which Jennifer Tilly was also a supporting actress nominee. Judy Davis was a supporting actress nominee for "Husbands and Wives" in 1993. Dianne Wiest won supporting actress for "Hannah and Her Sisters" in 1987.Mariel Hemmingway was a supporting actress nominee for "Manhattan" in 1980. Geraldine Page was a lead actress nominee for "Interiors" in 1979, which also brought Maureen Stapleton a supporting actress nod.And Diane Keaton won best actress for "Annie Hall" in 1978. Phoenix is a three-time Oscar nominee – for supporting actor in 2001 for "Gladiator," for lead actor in 2006 for "Walk the Line" and for lead actor in 2013 for "The Master. "However, Phoenix didn't help his future Oscar prospects by giving interviews in 2012 about how little he thinks of the business of campaigning for Oscars and how he, therefore, would not be campaigning for his performance in "Master." Posey hasn't been Oscar nominated yet, but she has for years been considered to be a leading star in the world of independent films. She appeared opposite Nicole Kidman in "Grace of Monaco," 2014's opening night selection at Cannes. Unfortunately, the film didn't resonate well at Cannes and "Grace" did not turn into an Oscar contender. Instead, it became an example of how there can sometimes be a downside to premiering at Cannes. Also world premiering out of competition at Cannes is the international production "The Little Prince"("Le Petit Prince"), based on the classic French novella by Antoine de Saint-Exupery, which has sold 145 million copies in 265 languages. "Prince," which employs stop motion animation and computer animation to tell its story, could wind up in the best animated Oscar race if all goes well. It's a category that tends to respond to innovative work by independents. In 2010, for instance, Focus Features and Laika Entertainment's adult-themed stop motion animated3D fantasy "Coraline" received a best animated feature nom in what was a very competitive year in animation. Directed by Mark Osborne ("Kung Fu Panda"), "Prince" stars the English voice talents of Rachel McAdams, James Franco, Marion Cotillard, Jeff Bridges, Paul Giamatti, Ricky Gervais and Albert Brooks. "Prince" plays at Cannes May 22 and opens July 29 in France. Its U.S. release date has not been announced yet. There also is a French language version of the film that includes such voice talents as Andre Dussollier (in place of Bridges) and Florence Foresti (in place of McAdams). French actress Marion Cotillard, an Oscar winning international star, is heard in both versions of the film. "Our movie is an homage to one of France's most iconic and revered properties,but also one of its most international, having crossed languages, cultures and generations," On Entertainment studio head Dimitri Rassam has pointed out. "There is no better place than the Cannes Film Festival to showcase this unique combination." The book's author is a native of Lyon, as is Cannes festival chief Thierry Fremaux, and the airport in Lyon is named in honor of Saint-Exupery. "Prince" director Osborne is no stranger to Cannes. His animated action adventure "Panda" also premiered out-of-competition at Cannes in 2008. It went on to be nominated in Oscar's best animated feature race. This is the first animated feature film adaptation of "The Little Prince," whose story revolves around The Little Girl (voiced by Mackenzie Foy), whose mother (voiced by McAdams) is preparing her to live in a very grown-up world. Then her eccentricelderly neighbor, The Aviator (voiced by Bridges), introduces the Girl to an extraordinary world where anything is possible -- a world to which he was introduced years earlier by The Little Prince. Bottom line:The global media spotlight is focused right now on Cannes, but Hollywood always keeps one eye on the boxoffice. This weekend is looking encouraging with the R rated "Fury" opening on the heels of its Cannes premiere. It should draw male moviegoers while Universal and Gold Circle Films' PG-13 music comedy "Pitch Perfect 2"attracts females. Directed by actress Elizabeth Banks, a first time feature director, it stars Anna Kendrick, Rebel Wilson and Hailee Steinfeld. "P2" is tracking in double digits as an overall first choice and is scoring huge numbers with under-25 women. It's also tracking very nicely with women over 25. The original "Pitch Perfect" opened Sept. 28, 2012 to $5.1 million and went on to gross $65 million domestically. In "P2," the Barden Bellas, an all-girls college singing group known for their female pop songs and perfect looks, must regroup after last year's disastrous finals. Beca (Kendrick), anew recruit, is an aspiring DJ with no real interest in college life-- until she meets Jesse (Skylar Astin) from a rival all-male singing group. Now Beca's out to find a new look and sound to put the Bellas back incompetition.